Here is the conclusion to our blog series, Colorado Workers Compensation Claims: 6 Mistakes to Sidestep. Mistake 5 – Not abiding by doctor’s restrictions. To avoid making any of these mistakes with your Colorado workers compensation claim, contact Shakeshaft and Gorman Law Firm. We are here to help you. After being injured at work, it’s not uncommon for people to try to push themselves physically and, in doing so, go against doctors’ orders intended to restrict their activities. For example, people may be told by their doctors not to lift anything over 15 pounds because they have a back injury. If these people end up violating doctors’ orders and the insurers associated with their Colorado workers compensation claims end up finding out about such activities, injured workers could face having their claims substantially cut if not denied altogether. Here, it’s also important to note that insurers can have tricky ways of finding out about people’s activities, as they are in the business of paying out the least benefits they can get away with (so they can maximize their profits). To this end, insurers may go so far as to hire private investigators to follow injured workers around and double check whether these people are, in fact, injured and abiding by doctors’ orders. So, if you have submitted a Colorado workers compensation claim and have had your activities restricted by the doctor you are seeing, do yourself a giant favor and follow these restrictions to the letter. 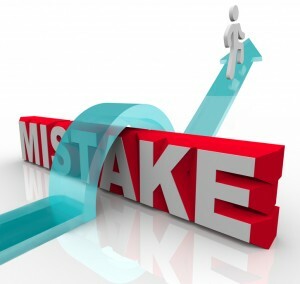 Mistake 6 – Not calling Shakeshaft and Gorman Law Firm after suffering a workplace injury. Ensure that you are able to obtain the full amount of benefits you deserve. Have you or a loved one suffered a workplace injury? If so, Colorado Springs Workers Compensation Attorney Kenneth Shakeshaft is ready to advocate your rights, help you recover financially and ultimately help you put your life back together. Since 1982, Kenneth Shakeshaft has been providing people injured at work with superior legal service, helping them stand up to insurance companies, large corporations and/or government entities.